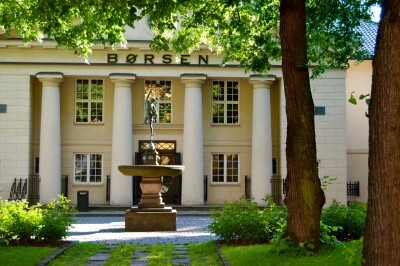 The Oslo Stock Exchange’s main index fell by 5.65 percent to 344.39 by the end of trading on Monday, as turbulence in the international financial markets continued and predictions that a new financial crisis was on the way gathered pace. In step with other European indexes, the Oslo Stock Exchange rallied during the morning after an immediate fall on opening but began falling again in the afternoon, reaching a six percent drop at 17:00 and ending half an hour later with a 5.65 percent decrease. The index has now fallen over 100 points since April according to Norwegian Broadcasting (NRK), representing a drop in share value of over 20 percent. Today’s performance was the third worst day experienced by the stock exchange since 2009. The index had already fallen to new lows for the year last week, with the Norwegian sovereign wealth fund (or “oil fund”) also being hit by the turmoil in global markets. Many European stock exchanges had improved in the morning after the European Central Bank announced its intention to begin buying bonds again in the debt-hit countries of the Eurozone. Nonetheless, the enthusiasm did not last long, although announcements about new oil discoveries in the North Sea by Statoil and various partners meant that the drop was not as bad as it could have been, despite further falls in oil prices. One of the main influences on the downward turn of the markets was last week’s decision by credit agency Standard and Poor’s to downgrade the USA’s credit rating from AAA to AA+. But although this has hit Norway’s stock exchange, it could still lead to increased investment in the country as investors notice that Norwegian bonds still have the highest ratings, according to First Securities‘ Harald Magnus Andreassen who spoke to financial newspaper Dagens Næringsliv. Jørn Lyshoel, an analyst with Nordea Markets, told Dagens Næringsliv that he believes the Oslo index is reaching a low from which it will bounce back. “We believe that an eventual further fall from here would be quite short-term,” he stated. Nonetheless, other economists continued to express concerns that the world could be heading for a new financial crisis. Shakeb Syed, a chief economist for Sparebank 1 Markets, suggested that “the final ingredient” for a crisis – that the market loses faith that politicians can resolve the current issues – is the only one now missing, while governments have already exhausted many of the means of solving the problems. “We must pray to higher powers that we do not have a crisis of confidence now,” he concluded.